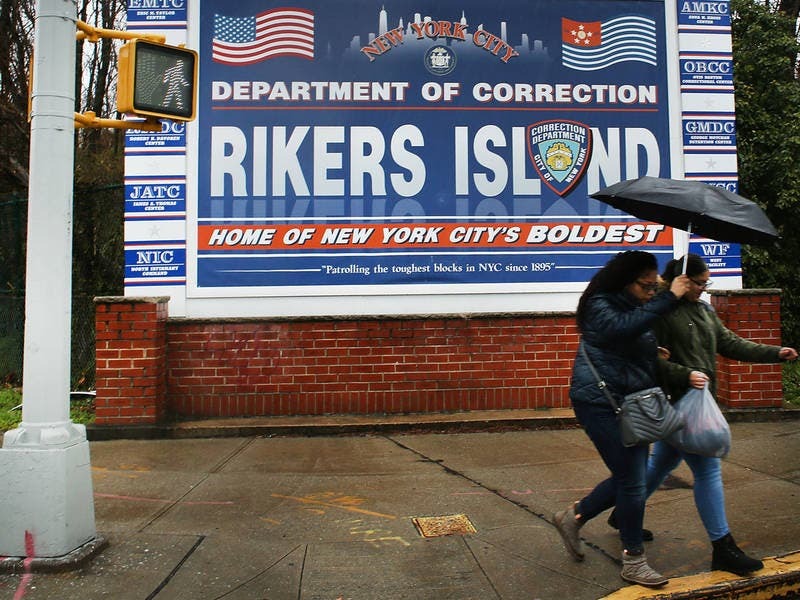 NEW YORK — New York City’s infamous Rikers Island complex will no longer hold 16- and 17-year olds under a new state law raising the age of criminal responsibility, city officials said. The 93 minors currently in city custody were moved to The Bronx’s Horizon Juvenile Detention Center by Sunday ahead of Monday’s deadline to implement the so-called Raise the Age law, a Department of Correction spokesman said. New York was previously one of just two states to treat 16- and 17-year-olds as adults in the criminal justice system no matter the charges they faced, according to Gov. Andrew Cuomo’s office. The law passed in April 2017 increased the age of juvenile delinquency to 17 starting Monday before it rises to 18 on Oct. 1, 2019. The city recently renovated the Horizon facility to make room for the teens, who will now have better access to education, counseling and other services, Mayor Bill de Blasio’s office said. It will also house 17-year-olds who will be charged as adults until next year’s scheduled age increase, officials said. The Raise the Age law aims to catch New York up with how the rest of the nation treats young offenders and provide teens the treatment and services they need. Teens who go through the criminal justice system as adults are more likely to be arrested again, according to Cuomo’s office. Locking up 16- and 17-year-olds also had a disparate racial impact — black and Hispanic youth account for 72 percent of all arrests but just 33 percent of the state’s youth population, the governor’s office said last year. When the law is fully implemented, 16- and 17-year-olds charged with non-violent crimes will be treated the same as younger teens, while those who face more serious charges will generally have their cases heard in a new Youth Part within the state court system, officials said. “By raising the age of criminal responsibility, New York is putting an end to an injustice that falls disproportionately on people of color and once again proving that we are the progressive beacon for the nation,” Cuomo, a Democrat, said in a statement Monday. But the city’s kids won’t be immediately free from the oversight of correction officers, who the mayor’s office said will initially work at the Horizon facility along with staff from the Administration for Children’s Services and the Department of Education. The Department of Correction will phase them out over the next 18 months, the mayor’s office said. The DOC will also serve in an “advisory capacity” at ACS’ Crossroads center in Brooklyn, where 17-year-olds charged with certain levels of crimes will be housed, de Blasio’s office said. In a letter last week to de Blasio and Cuomo, six City Council members expressed concern that the correction officers’ presence would turn Horizon into a “Mini-Rikers” and asked that implementation of the law be delayed. City Councilman Rory Lancman (D-Queens), who chairs the Committee on the Justice System, also said he worries the guards’ presence will “fundamentally undermine (the) goals and spirit” of Raise the Age. “Officers trained in adult jails should not be supervising kids,” Lancman said in a statement Monday. The Correction Officers’ Benevolent Association also opposes the arrangement. The union joined two others in filing a May lawsuit challenging it because it forces their members to perform work outside their regular job titles. But Correction Commissioner Cynthia Brann nonetheless thanked the staff and officers who worked on the transition. She said DOC officers were given “special, youth-based training” to get ready for the shift.